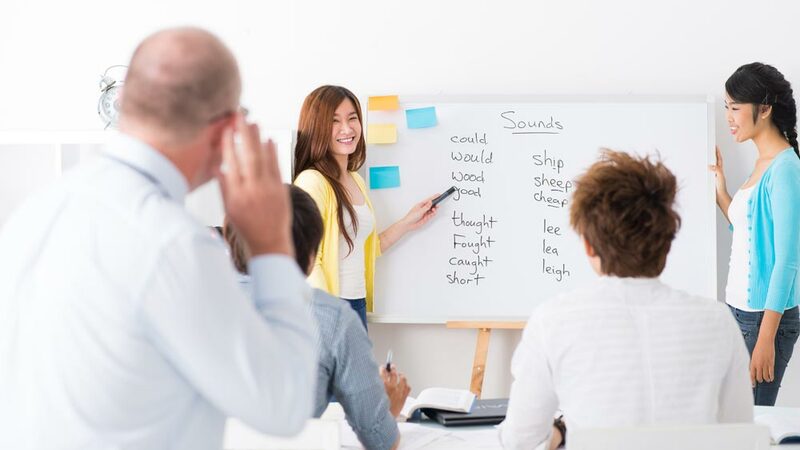 English as a language has gained a global recognition in the world. This can be said by looking at the universal appeal of this language. During the past few years, India has witnessed the cropping up of number of English learning and speaking institutes. Travelling purpose: With the lowering of the travel fares, more and more number of people are travelling within India and abroad. While visiting such places the only language that can be spoken and understood is English. English language has gained a universal appeal, so any individual travelling to any parts of the world is quickly recognised and understood. English, a must for all: Indians are over-hyped with the English language. Any individual with less knowledge in English is an alien to the Indian society. Thus, old or young, everybody has engulfed this language for personal as well as professional recognition. Emergence of MNCs: This century has witnessed the up coming of the Multi National Companies (MNC) as well as national and international call centres. Further, with globalisation, the need for travelling to a foreign destination for official purpose has also increased. Nowadays, the only criterion in getting a job in MNC’s or BPO’s is to have excellent expertise in English language. Similarly, intelligent individuals working in big companies are denied their promotions on account of their being not fluent in the language. Thus, knowing English is the need of the hour. As a result, more and more entrepreneurs are opting for taking up the franchise of language institutes. Moreover, most of these institutes are expanding rapidly via franchise route. The above given factors have given a huge impetus for the opening up of many English academics in the country. Till now the few players who have established themselves in the field of franchising are Hero Mindmine (The company offers English language training, soft professional skills development and personality building, where they focus on preparing the participants for industries like BPO, Retail, and Financial Services), Vita (this brand has 256 outlets nationally and 18 outlets internationally), Rusell’s Institute (Russell’s Spoken English Pvt. Ltd. is over 25 years old having more than 30 centers across India), English Express, launched by Aptech (It has commenced its franchises in 2009 and currently has four centres and plan to roll out around 80-100 centres in an year), Better Think, a unit of Top Careers & You (TCYonline) etc. Viewing the growing popularity of English language, it can be guaranteed that there will be more scope in the sector in the coming years. To conclude it can be said that the future of English language is very secure. Having a franchise in this area will surely give high business benefits. Dear Sir, I am interested in the coffee/ice cream Kiosk business. pl suggest how to proceed in this. regds, Manoj. Iwant to open a small food kiosk (f & B) chinese kindly suggest me estimate money, liciencing & all procedure. The kiosk franchising concept is very good.But you have only provided the investment numbers and not the profit percentages,it would have been better had u given the profit margins aslo.Can u send me the details of the profit margins of the above mentioned subjects. sir i m interested in chocolate kiosk in jaipur , kindly send me all details. Dear Sir/Madam, We are coming up with a Highway restaurant & Resort of star category near Indore at Indore-Mumbai highway.We would like to have informatios regading your franchisee offer as we are interested to have franchisee partner for our upcoming project. Pls send investment details & other financial details regading your projct. I am interested in opening food kiosk in thane malls and kalyan mall pls suggest me and the details to go forward. I want to open a small food kiosk ice cream kindly suggest me estimate money, liciencing & all procedure. I want to open kiosk in mall. This mall will start next 2-3 months. In this mall 8 screen multiplex also but the rent is so high then running mall. The rent is Rs 350/ per S.Q.F its good decision to open a kiosk in this mall. I like to open kwality walls ice-cream. Sir, I am interested to open Coffee kiosk in Bhagalpur,Bihar. It is on the main rd & also a highway with 135 s.ft..Pl. give the details & margin of profit at the earliest. Dear Sir/madam, The idea to invest in Kiosk is very good, I am interested to open Kiosk in Mall which is near to me, but it is very difficult to choose the best Kiosk. I am from Mumbai. kindly send me details of Kiosk, like Minimum Investment, Returns of investment, Percentage of Profit etc. so that it would be easy for me to go for further procedure. Thanks & regards. Dear sir/madam,I am interested in opening low cost Snacks kiosk near sea side in Singapore.How much investment should i keep and what is the procedure to start and how to take licence.Please can you provide a detailed description. i want to open a small food kiosk in big college or university. pls suggest low cost economy franchise kiosk. Dear sir,I want to start small retailer shop of any popular brand like Amul ,how to start ? I am planning to set up a food business which will include coffee and maybe fruit juices.. However, I do not have a clear idea about the KIOSK model to opt for... Could you please offer your valuable suggestion and help me set up my business?? i want to start food kiosk business.. so guide me. i want to open either coffee kiosk or snack kiosk in malls and theater also Airport, pls can you advise how to proceed. i have a space in 2nd floor in front of N.H road near city in srinagar jammu and kashmir so i want to get franchise with any fmcg company with low investment as possible , so plz suggest me what can i do . We are open to offer Punjabi Fast Food Franchise. The minimum space needed is 350 sq. ft or bigger if available at high street areas. i am interested to open coffee, tea and quick bite snacks pls suggest. Dear Sir,I am planning to take up a small kiosk with small budget. I am currently residing in the city of Belgaum, Karnataka. Dear Sir,I am very interested for a low budget investment for which i suppose the small kiosk of coffee or ice cream or any other products. dear sir I am interested in the coffee/ice cream kiosk business pls suggest how to apply. Dear Sir, I am interested in Kiosk business. plse suggest how to proceed. I am interested plz help me,How to open it asap.kindly provide our contact details. Currently we offer kiosks for Veg - non-veg snack foods.Contact me. WE ARE INTO COACHING CLASSES AND COACH STUDENTS FOR STD.XTH STUDENTS. WANT TO START QUICK BITE SNACKS KIOSK BUSINESS. PL ADVICE. hi , Did you get a reply for this ? Have you started anything.. can you please help me too ? Dear sir, I am interested in the coffee/ice cream kiosk business. pl suggest how to proceed in this. legal issues also and investment cost with all charges. dear sir,i have own shop on road side area, the total space is maximum 350 sq ft,i want open fast food kiosk, please suggest me sir. I am looking to venture into opening small kiosks. Request if you can kindly guide. Respected sir,Can u plz tell what will be the procedure for taking kiosk business franchise in my hometown dat is Shirpur(Dhule) Maharashtra. I am interested to start my kiosk at airports. Please suggest me. Hi, I m interested in the Coffee/Ice cream kiosk business in Bhopal. Please let us know the process for this.